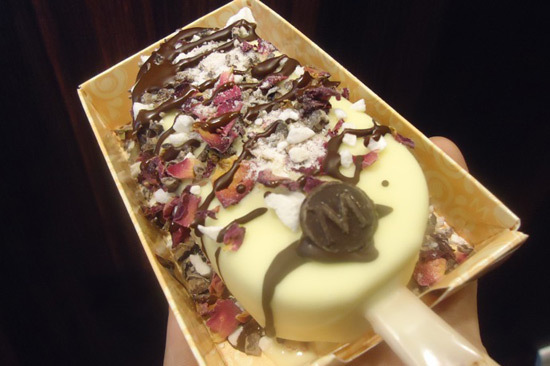 To celebrate its 25th birthday, Magnum ice cream launched ‘Meet the Makers’ campaign, which allows you to create your own personalised ice cream. The Selfridges Concept Store in the Wonder Room in London’s Oxford Street will be the place where shoppers will be able to create their very own personalised ice cream for just eight weeks. 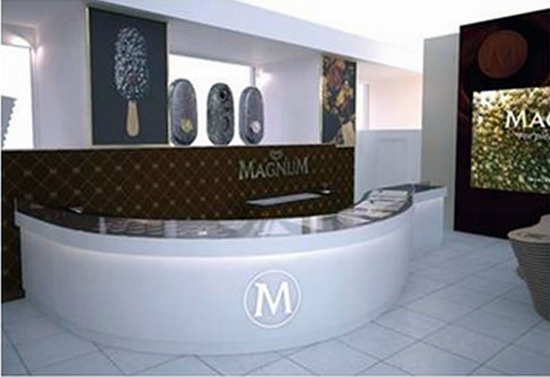 Visitors to the hotly anticipated Make My Magnum Experience can choose toppings and chocolate coatings. From rose petals to marshmallows and chilli flakes, there are over 250,000 flavour combinations possible. Each individual creation will be perfected with a drizzle of chocolate and the finishing touch; a classic M coin decoration; all for £4.50 ($7.65). Magnum will also launch a limited edition Magnum ice cream inspired by Crème Brulée, exclusive to Selfridges. Complete with the iconic yellow packaging the special Magnum ice cream features swirls of caramel sauce and caramelised sugar pieces, and all finished with a layer of famous Magnum cracking milk chocolate. Delivered in a stylish yellow Selfridges box, complete with the timeless Magnum brown, the Magnum limited edition ice cream will be available in Selfridges stores nationwide until 30th August 2014. ‘Meet the Makers’ campaign is the first dedicated food scheme since the store opened in 1909.